FROM AN ARTIST WHO’S MOST prominent exposure to art may have been Philadelphia Zoo sculptures Coiled Snake (Ahron Ben-Shmuel), or perhaps the Black Coopersburg granite Bear and Her Cub (Joseph J. Greenberg), comes this carved wood item. A favorite of the kids, this piece has been located near the children’s area of Pat Graham’s book store for the last 15 years. Absent for a time, Both is now back, having completed an exhibition in Scottsdale. 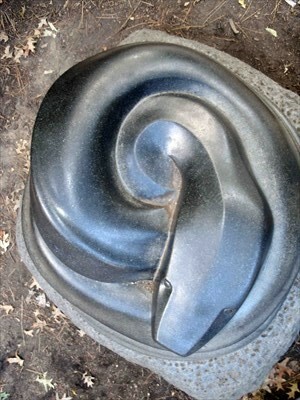 This entry was posted in Craftsman / Artist and tagged Bear and Her Cub Joseph J. Greenberg, Coiled Snake Ahron Ben-Shmuel, jim sergovic, sculpture philadelphia zoo.